The 2015 Audi Q3 compact premium crossover has a 200 horsepower 2.0 liter TFSI® engine with a six-speed Tiptronic® transmission and will go on sale this Fall. The Audi Q3 Premium Plus FWD will start at $33,425 (including transportation charge of $925), Audi Q3 Premium Plus quattro $35,525, Audi Q3 Prestige FWD $37,325 and Audi Q3 Prestige quattro $39,425. There's an optional Sport package which includes sport seats, shift paddles and Audi drive select adds to the dynamic character of the Q3. The available MMI® Navigation plus with voice control utilizes a 7.0 inch display and adds a color display to the driver information system located in the instrument cluster. The MMI Navigation Plus features the Audi connect® infotainment system (included in Prestige model), which includes in-vehicle Wi-Fi connectivity for up to eight wireless devices for passengers. Audi connect also provides Google Earth™ maps for a true aerial view of roads and the surrounding area. A 14-speaker, 465 watt Bose Surround Sound System is also part of the Prestige model. The all-new 2015 C-Class sedan will start at an MSRP of $38,400 for the four-cylinder C300, and $48,590 for the C400 4MATIC sedan. The new C-Class has such features as COLLISION PREVENTION ASSIST PLUS, a radar-based system which can brake autonomously to avoid collisions or minimize their effects in combination with PRE-SAFE which prepares the vehicle if a collision is imminent. 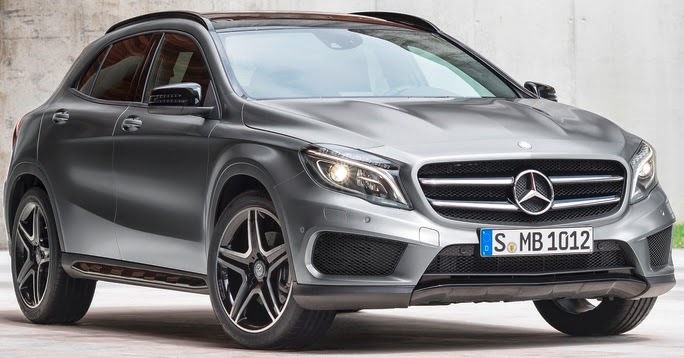 The all-new GLA starts at $31,300 for the two-wheel drive 2015 GLA250 hitting showrooms in the first quarter of next year, $33,300 for the 2015 GLA250 4MATIC arriving in September along with the $48,300 2015 GLA45 AMG, a 355 horsepower all-wheel drive vehicle. The 2015 Lexus GX 460 has a 301-horsepower 4.6-liter V8 engine, body-on-frame construction, full-time 4-wheel drive and 6,500-lb. trailer capacity. Other features include Crawl Control to navigate through sand, mud or snow, Downhill Assist Control, Hill-start Assist Control, Active Traction Control, Vehicle Stability Control and a TORSEN® torque-sensing limited slip center differential distributes power 40:60 under most driving conditions. iPhone® users (iPhone 4S and iPhone 5 models forward) can use the newly standard Siri® Eyes Free Mode. Music choices are expanded in the 2015 GX 460 courtesy of the Lexus Enform App Suite which upgrades to include iHeartRadio 4.0 and Slacker. The 2015 Lexus IS C retractable hardtop has 13 electric motors and 33 sensors that control the three-panel aluminum roof, which, at the push of a button, lowers in 20 seconds converting the coupe to a convertible. The IS 250 has a 204 horsepower 2.5-liter V6 engine, the IS 250 F SPORT adds track-tuned handling upgrades, the IS 350 has a 306 horsepower 3.5-liter V6, and there's the IS 350 F SPORT. All come standard with a six-speed automatic transmission with steering-wheel-mounted paddle shifters. The 2015 Mercedes-Benz CLS400 houses a new 329 horsepower 3.0L V6 bi-turbo engine and the CLS550 has a 402 horsepower 4.6L bi-turbo V8 engine mated to a 9-speed automatic transmission with hydrodynamic torque converter. The US market will launch the CLS400, CLS400 4MATIC, CLS550, CLS550 4MATIC and CLS63 AMG S-Model 4MATIC this Fall. The 2015 S65 AMG Coupe, with the new 621 horsepower 6.0- liter V12 biturbo engine mated to the AMG SPEEDSHIFT PLUS 7G-TRONIC transmission, joins the S65 AMG sedan and SL 65 AMG roadster, as the third AMG high-performance car with a V12 engine to come to the United States market. Standard equipment includes 360° camera, Active Parking Assist with PARKTRONIC, Burmester® high-end 3D surround sound system, Driving Assistance package Plus, including DISTRONIC PLUS with Steering Assist, PRE-SAFE® Brake, BAS PLUS with Cross-Traffic Assist, Active Blind Spot Assist, Active Lane Keeping Assist and PRE-SAFE® PLUS. Orders can be placed for the S65 AMG Coupe in the coming weeks, and the United States market launch at Mercedes-Benz sales outlets and authorized dealerships is planned for the end of 2014. 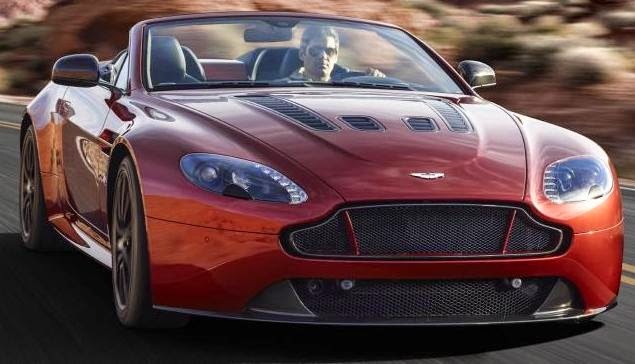 The 2015 Aston Martin V12 Vantage S Roadster, a two-seat, two-door soft-cover convertible is equipped with the 565 horsepower 6.0-liter V12 engine capable of reaching 201 mph mated to a Sportshift™III auto-shift manual transmission and arrives in markets around the world later this year. Gas mileage is 12 mpg city, 18 mpg highway for a combined 14 mpg. 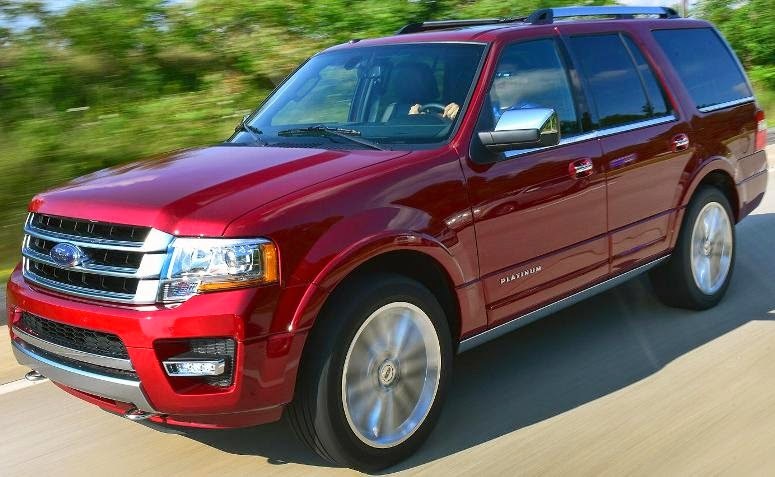 The new 2015 Ford Expedition full-size utility vehicle with three rows of seats comes with a 365 horsepower 3.5-liter EcoBoost® V6 engine mated to a SelectShift® six-speed transmission goes on sale later this year with a refreshed new look. It sits on a 119-inch wheelbase, making it a little more than 6 inches longer than Ford Explorer, with up to 108.3 cubic feet of cargo space and there's an avaialble 131 inch wheelbase version with cargo space of 130.8 cubic feet. Also available towing of up to 9,200 pounds when properly equipped. Fuel economy has not yet been rated by the EPA. The all-new 2016 Mazda2 was unveiled in Japan and begin rolling out to global markets starting this Fall. First introduced in 1996, the Mazda2 was not available in the U.S. market until the third generation as a 2011 model. This all-new fourth-generation vehicle is outfitted with the full suite of SKYACTIV® technologies, MAZDA CONNECT™ and i-ACTIVSENSE. The 2016 Mazda2 will be available with a SKYACTIV-G 1.3-liter gasoline engine and a SKYACTIV-D 1.5-liter clean diesel engine in Japan. More on U.S. specs closer to launch. Johan de Nysschen is leaving his post as President of Nissan's Infiniti brand after two years at it's new Hong Kong headquarters and is moving to lead General Motor's Cadillac division to be closer to his family in the U.S.. 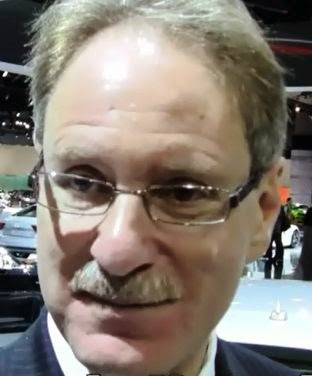 Prior to Infiniti, de Nysschen was President of Audi of America. de Nysschen, 54, as President of Cadillac, joins the GM executive leadership team as an executive vice president of the company beginning August 1st and reports to GM President Dan Ammann. de Nysschen will be responsible for all aspects of Cadillac globally including sales, pricing and network development, strategic brand development and marketing and product portfolio planning, including critical input for product engineering and design. The all-new 2015 Lexus NX debuts in the NX 200t with a 235-horsepower turbocharged 2.0-liter four-cylinder engine mated to an all-new sequential six-speed automatic transmission and the NX 300h hybrid with a 2.5-liter Atkinson-cycle gasoline engine a new automatic transmission with a kick-down switch to ensure maximum power is delivered when required. Both models offer their own version of pro-active all-weather drive (AWD). 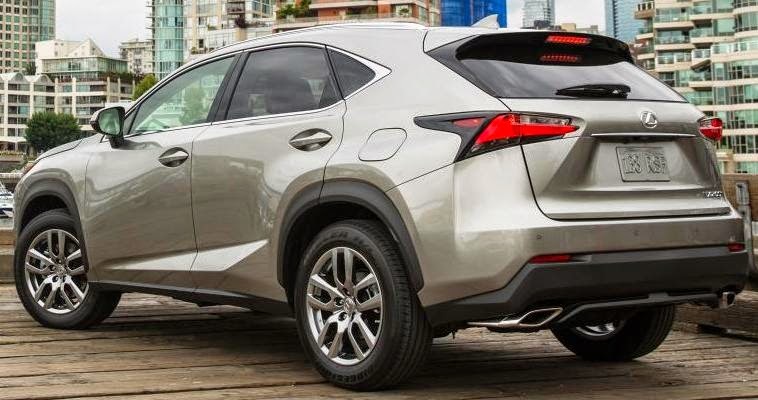 The 2015 NX has a Lexus-first Wireless Charging Tray for compatible phones and devices, the new Lexus Remote Touch Interface with a touch pad and a comprehensive Multi-information Display that features a Lexus-first G-Force meter and boost gauge. The standard Display Audio includes HD Radio™, Bluetooth® audio, automatic phone book transfer, a vehicle information display and complimentary traffic and weather data provided via HD Radio. If a favorite song comes on the radio while you’re busy with something else, like waiting at a bank drive-through, use the cache radio feature to pause it for up to 15-minutes and then listen later. General Motors dealers delivered 267,461 vehicles in the United States in June, up 1 percent compared to a year ago. Retail sales were up 1 percent and fleet sales were up 2 percent. Year-to-date sales of 1,455,868 is a 2.5 percent increase of the first six months of 2013. Ford Motor Company June 2014 U.S. sales of 222,064 vehicles declined 5.8 percent from a year ago. Retail sales of 145,989 vehicles declined 5 percent, while fleet sales of 76,075 vehicles declined 7 percent. Year-to-date sales of 1,270,032 is a 1.8 percent decline from last year. Toyota, Scion and Lexus reported total June 2014 sales results of 201,714, an increase of 3.3 percent from the year-ago month. Chrysler Group reported U.S. sales of 171,086, a 9 percent increase compared with sales in June 2013, and the group’s best June sales since 2007. Year-to-date sales of 1,020,123 is 12 percent jump over 2013. American Honda reported June 2014 Honda and Acura vehicle sales of 129,023, a 5.8 percent drop from a year ago. The Honda division posted sales of 117,817 in June while Acura sold 11,206 in the same period. Year-to-date American Honda sales reached 739,436, a decline of 0.8 percent. Nissan Group announced total U.S. sales for June 2014 of 109,643, an increase of 5.3 percent over the prior year and a June record. Year-to-date sales are 704,477, a 12.8 percent increase. Hyundai Motor America posted sales of 67,407, up four percent versus the same period a year agofor its best June ever and the best opening six month period in its 28-year history. Year-to-date sales of 364,434 is up one percent over last year’s record performance for the first six months of the year. Kia Motors America announced June sales of 50,644, contributing to the company’s best-ever first-half performance with 297,413 vehicles sold thus far in 2014, up 7.2 percent over 2013. Volkswagen of America reported 28,827 units delivered in June, a 22 percent drop from June last year. Year-to-date sales of 179,144 is a 13.4 percent decline from the first half of last year. Separately, Audi of America Audi reported June 2014 sales of 16,867, a 23.1 percent improvement for the 42nd consecutive month of record monthly sales. Audi sales year-to-date increased 13.6 percent to 84,349 vehicles sold, the best first-half sales in Audi U.S. history. Mercedes-Benz USA reported best-ever June sales volumes of 29,380 across the Mercedes-Benz, Sprinter and smart model lines, up 8.2 percent from the same month last year. Monthly retails for the Mercedes-Benz brand alone increased 8.6 percent to 26,506, bringing year-to-date volumes to 151,624. Adding year-to-date sales of 11,483 for Sprinter Vans and 4,647 units at smart, MBUSA delivered the best first-half sales total in its history at 167,754. Subaru of America reported 41,367 vehicle sales for June 2014, a 5 percent increase over June 2013 and it’s best-ever June sales. Year-to-date sales total 238,008, a 16.3 percent increase over the same period in 2013 making 31 consecutive months of year-over-year growth heading for its sixth successive annual sales record. The BMW Group in the U.S. (BMW and MINI combined) reported June sales of 35,577 vehicles, an increase of 5.7 percent from the 33,645 vehicles sold in the same month a year ago. Year-to-date, the BMW Group (BMW and MINI combined) is up 5.1 percent on sales of 181,534 in the first half of 2014 compared to 172,787 in the same period in 2013. Mazda North American Operations reported June U.S. sales of 26,208, an increase of 16.5 percent versus last year. Year-to-date sales through June are up 7.9 percent versus last year, with 156,431 vehicles sold. Mitsubishi Motors North America June sales of 6,021 was a 13.7 percent increase over the sales total from June 2013. Volvo Cars of North America reported U.S. sales of 5,983 for the month of June. Year-to-date sales are down 10 percent versus the first six months of 2013. Porsche Cars North America June 2014 sales of 4,102 vehicles is the best June in company history. During the first half of 2014, PCNA has delivered 22,919 vehicles in the U.S., for an increase of 7.6 percent over last year which was a record-setting year.